What was St. Patrick’s Day like 150 years ago? What type of groups marched in the Parade, and what types of imagery did they use? We are fortunate that the full line up of the 1864 New York Parade survives, together with detailed descriptions of the dress and banners of each Society. What emerges is an image of a Parade we would still recognise, down to street vendors selling cheap Irish imagery to revellers. However, just as today St. Patrick’s Day is often associated with the Irish love of a party, in 1864 the main focus of many of the groups was abstinence from alcohol. The post below provides a description of the event and also includes a full descriptive list of all the banners flown during the Parade, offering a unique insight into the imagery, motivations and agendas of New York’s Irish community during the period of the American Civil War. All the newspapers agreed that New York’s 1864 St. Patrick’s Day parade was the most imposing they had ever seen. Attempts to commercialize the event were alive and well 150 years ago, with vendors at almost every street corner offering shamrock and miniature Irish flags to the expectant crowds. Cries of ‘The Flag of Old Ireland for one cent!’ were heard throughout the city. For those who embraced the occasion, the men could wear sprigs of shamrock or evergreen on their clothes, while women were decked out in green dresses or ribbons. The city did its bit as well- many of the stage horses had the Irish national colors on their headgear, while the city railroad cars were similarly decked out. Everywhere from City Hall to ships in the harbor displayed flags and bunting to mark the occasion. Finally the time had arrived for the parade proper- the procession itself included no fewer than 20,000 participants. Assembling on East Broadway around 11.oo, the different groups began to arrange themselves into an order of march. Military contingents set out from their armories to the rendezvous. Some 600 men of the 69th New York were there, supported by 400 men of the 99th New York National Guard. The latter unit, which was led by Fenian John O’Mahony, had only received its colors the night before and had not yet been given uniforms. Other military contingents included men of the 1st New York National Guard Cavalry, the 70th New York National Guard, and the ‘Napper Tandy’ Light Artillery of Brooklyn. With everyone finally in some semblance of order, at 12.20 a signal gun was fired at the junction of East Broadway and Grand St. by command of Sergeant Major Mulqueen and men of the 4th Artillery. With that, the hordes of military and civic societies began their march. It would take them down East Broadway and Chatham Street to the City Hall Park and beyond. The order in which the military led the parade is set out in the table below. Throughout the parade the streets were thronged with spectators- it was remarked that there was a ‘total absence of cases of intoxication’ among them, a factor perhaps influenced by the large number of abstinence societies taking part. After the march passed through the Park they were reviewed by the Mayor, Common Council and heads of the Municipal government. A salute of 17 guns was fired under the command of Captain James McMahon, before the column moved up Broadway to Union Square. 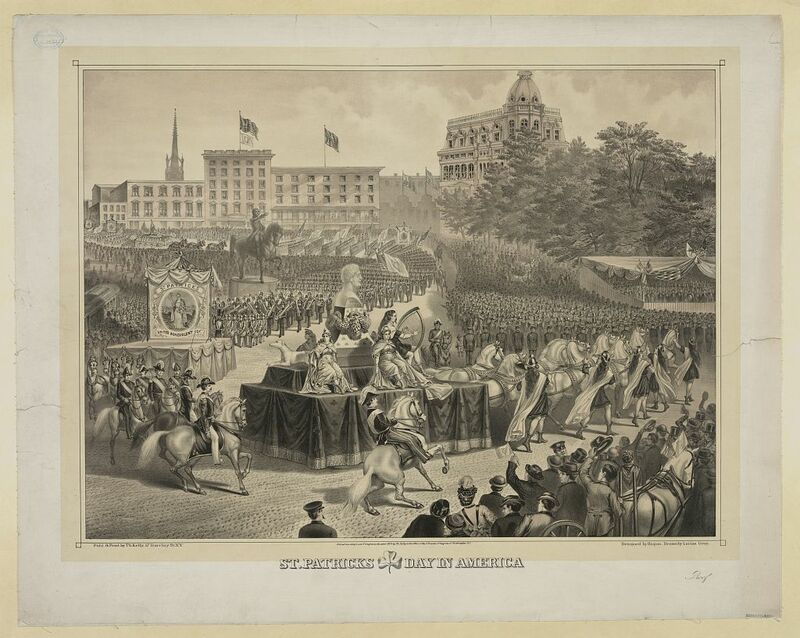 Here the huge parade saluted the statue of Washington before passing down 14th Street, 7th Avenue, 23rd Street, 1st Avenue, 9th Street and finally onto 4th Avenue where the marchers finally broke up. In total it took the procession an hour and a half to pass any given point. Even New York’s Navy Yard had got in on the act that St. Patrick’s Day. The ships played national Irish airs that morning, while a procession of laborers and mechanics belonging to Brooklyn’s Hibernian Societies visited the Yard for a reception. Throughout the city that evening many of the groups had dinners to celebrate the feast day- the Sons of St. Patrick went to the Astor House, while the Friendly Sons of St. Patrick retired to Delmonicos. The New York Irish-American recorded the details of the parade in incredible detail. We are extremely fortunate in that they also described the uniforms, flags and banners of the participants. 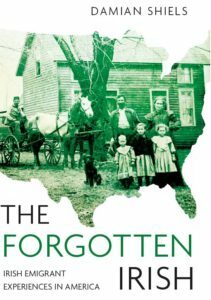 This offers us a unique social insight into the imagery of Irish emigrant groups in 1864 and their efforts to highlight their dual allegiances to both the United States and Ireland. These remarkable descriptions have been condensed for readers below, with the dress, banners and mottoes of each of the Society’s in the march described in turn. A scarlet Phrygian Cap, similar to that worn by many Temperance Cadets on St. Patrick’s Day, 1864. 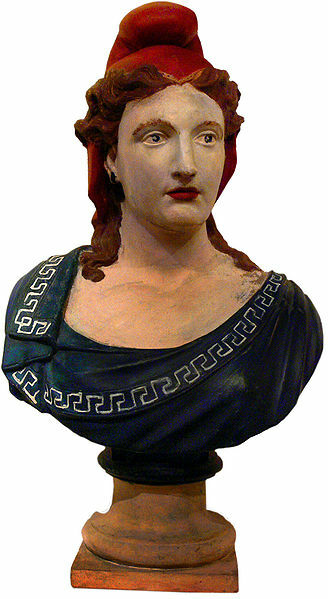 (Image via Wikipedia). TEMPERANCE CADETS OF THE VISITATION OF THE BLESSED VIRGIN MARY, SOUTH BROOKLYN: The boys wore a uniform of a green shirt and cap with black pants. Their drum corps wore white uniforms trimmed in green. They carried a white banner with the inscription: ‘Temerpance Cadets of the Visitation of the Blessed Virgin Mary, South Brooklyn.’ A second banner was inscribed: ‘All’s right- Dad’s sober’, while other banners carried religious phrases. Also among their ranks was a green flag and the Stars and Stripes. FATHER MATHEW TEMPERANCE AND BENEVOLENCE SOCIETY NO. 1, SOUTH BROOKLYN: Members wore green and gold regalia. Their banner had on the obverse a figure of Father Mathew with a sunburst and round tower. Over this was the name of the Society and it’s date of incorporation, December 1861. On the reverse was a representation of the Visitation and the inscription ‘We visit our sick and bury our dead.’ The staff of the banner was adorned with a wreath presented by the ladies of South Brooklyn. The banner was carried with an Irish flag displaying the harp and sunburst at its centre and the Union flag. Two other silk banners were also carried by members. TEMPERANCE CADETS OF THE IMMACULATE CONCEPTION: They wore green and white shirts with crimson Phrygian caps trimmed with green. Their banner had an image of the Immaculate Conception, and they also carried the flags of Ireland and the United States. IMMACULATE CONCEPTION TEMPERANCE AND BENEVOLENCE SOCIETY: The men all wore regalia. Their banner, which was surmounted by a large gilt eagle and bore green streamers, was carried on a truck drawn by four grey horses. The obverse of the banner carried a picture of the Immaculate Conception and a scroll reading ‘Immaculate Conception Total Abstinence Benefit Society. Organized July 10, 1862.’ The reverse had a representation of the Reverend Dr. Morrow administering the temperance pledge to a group of people, with a view of the Church of the Immaculate Conception and parochial house. Underneath was the inscription: ‘Be sober and watch, for you adversary, the devil, as a roaring lion, goeth about seeking whom he may devour.’ Another banner bore two Irish wolfhounds supporting a shield quartered with the arms of Ireland and the United States. It also had the name of the Society on it and the motto: ‘Gentle when Stroked- Fierce when Provoked.’ Also among the ranks was a silk United States flag carrying the name of the society and an Irish tricolour of ‘green, white and yellow.’ Another Stars and Stripes and green flag made up the society’s banners. LONGSHOREMEN’S UNION BENEVOLENT SOCIETY: Members wore green and gold regalia and rosettes. Their banner carried a representation of a ship receiving her load (lading) with the inscription: ‘Longshoremens’ Union Benevolent Society: Organised Oct.13 1844; Chartered March 13, 1853.’ The reserve showed members of the society visiting a sick man and the motto: ‘Union, Protection, and Benevolence.’ The Society’s second banner had on the obverse representations of Jackson and Lafayette and a shield emblazoned with the flags of all nations. Two clasped hands carried the motto ‘Unity’. Flags of Ireland and the United States were also carried. In the background was a view of the Battery (on Manhattan) with the inscription: ‘Longshoremens’ U.B. Society. We know no Distinction but that of Merit.’ On the reverse was Hope with a horn of plenty and holding two little children by the hands, together with members of the Society in procession. Over the scene was the inscription ‘Whatsoever you do unto one of those Little Ones, the same you do also to Me.’ The Stars and Stripes, green flag and more banners followed. QUARRYMAN’S U.B. SOCIETY: Members wore green and silver regalia and carried two banners. The first bore figures of O’Connell and Washington on the obverse, with a scroll reading: ‘Quarrymen’s Union Protective Society; Chartered May 13, 1850.’ The reverse depicted Columbus landing with the motto: ‘United we stand- Divided we fall.’ The Society’s second banner had a good Samaritan on the obverse with the name of the society. The reverse showed members assisting a sick man, with the motto: ‘We visit the sick and bury the dead.’ The Society also carried a United States flag. TEMPERANCE CADETS OF BROOKLYN E.D. : The cadets wore green shirts with black belts and pants and had crimson Phrygian caps. They had a white banner edged with green and crimson which bore the inscription:’ Total Abstinence Cadets. Presented by the Father Mathew T.A.B. Society of Brooklyn E.D., March 17, 1864.’ They also carried a green flag and the Stars and Stripes. FATHER MATHEW TEMPERANCE AND BENEVOLENCE SOCIETY NO.3, BROOKLYN E.D. : Members wore green and gold regalia ornamented with harps and stars along with green, white and crimson rosettes. They wore their temperance medals on their left breast. Their banner was made of green silk and on the obverse had a depiction of Ireland (represented by a beautiful woman) mourning over a harp. In the background was a lake and ruined tower. There were fountains of water on each side, and over all was an inscription: ‘I saw, I signed, I conquered’ underneath which was written ‘Father Mathew, though dead, still lives in the hearts of his followers.’ The reverse of the banner had a representation of Father Mathew administering the temperance pledge, while the Maid of Erin played a harp surrounded by a blaze of glory. The inscription on that side read: ‘Father Mathew Total Abstinence Benefit Society, No. 3 Brooklyn, E.D. Organized July 6, 1863, Chartered Sept. 16, 1863.’ In addition to the banner the society carried two Irish and two United States flags. Interestingly the entire Society had been photographed on St. Patricks Day prior to taking part in the march. The image was exposed by Jackson at the corner of North 9th and 2nd Streets, Williamsburgh- it is unclear if any copies survive. DUNGANNON VOLUNTEERS OF 1782: Members wore the 1782 uniform. HIBERNIAN BENEVOLENT SOCIETY: Members wore green and gold regalia with rosettes. Their banner was carried on a truck drawn by six grey horses and it’s staff was decorated with crimson and green streamers, with a large gilt eagle on top. The staff also carried a wreath of flowers. On the obverse was depiction of O’Connell and Washington along with the harp and Eagle. It carried the motto: ‘United we stand- Divided we fall.’ The reverse had an image of Jackson with a Phoenix and the combined arms of the United States and Ireland, and was inscribed: ‘Our duty is to aid and protect the afflicted.’ In addition the Society carried two silk United States flags. ANCIENT ORDER OF HIBERNIANS OF NEW YORK, DIVISION NO.8: The Society’s banner had Daniel O’Connell standing on the steps of Derrynane on the front and the inscription ‘We support our sick and bury our dead.’ The reverse carried Brian Boru and the Maid of Erin. ANCIENT ORDER OF HIBERNIANS OF NEW YORK, DIVISION NO.20: The banner showed Brian Boru defeating the Danes on the front, with the verse: ‘Long his loss shall Erin weep, Ne’er again his likeness see. Long her strains in sorrow steep- Strains of Immortality.’ The reverse of the flag showed St. Patrick. ANCIENT ORDER OF HIBERNIANS OF WEEHAWKEN, NEW JERSEY: Their banner was carried on a truck decorated with evergreens and drawn by two horses. The banner had the surrender of Cornwallis on the obverse with figures of O’Connell and Patrick Henry on the reverse and the inscription: ‘Let Liberty’s Spirit not rest, Till it moves like a breeze o’er the waves of the West.’ The Society also carried a United States flag. ANCIENT ORDER OF HIBERNIANS OF LONG ISLAND, DIVISION NO.1: They carried their banner on a car drawn by six grey horses. On the front it had Hugh O’Neill with the depiction ‘The Pride of his Country, and the Terror of her Enemies.’ The reverse showed the Maid of Erin playing on a harp. ANCIENT ORDER OF HIBERNIANS OF LONG ISLAND, DIVISION NO.5: One the obverse of the banner were two woulfhounds supporting a shield and the motto: ‘Gentle when stroked- Fierce when provoked.’ The reverse showed St. Patrick preaching before the Royal Assembly of Tara. ANCIENT ORDER OF HIBERNIANS OF LONG ISLAND, DIVISION NO.11: The obverse of their banner had St. Patrick and ‘King Malachi.’ A scroll over them had the name of the Society and the quotation: ‘Let Erin remember the days of old. Ere her faithless sons betrayed her; When Malachi wore the collar of gold, Which he won from the proud invader.’ The reverse bore the Maid of Erin and Henry Grattan with a harp surmounted by an eagle. Over them was written ‘Let Friendship Flourish’ and underneath the quote ‘When Grattan rose, none dared oppose The claim he made for Freedom.’ The Society also carried and Irish flag. ST. PETER’S TEMPERANCE CADETS: They wore small badges and had a banner of white with the inscription ‘St. Peter’s Temperance Cadets.’ The cadets also carried a wreath with a white cross at its centre. They carried a green flag with the harp and shamrock and also the flag of the United States. ST. PETER’S ROMAN CATHOLIC TOTAL ABSTINENCE SOCIETY: Members wore a green badge with the name of their society in gilt letters on it, together with a green rosette. 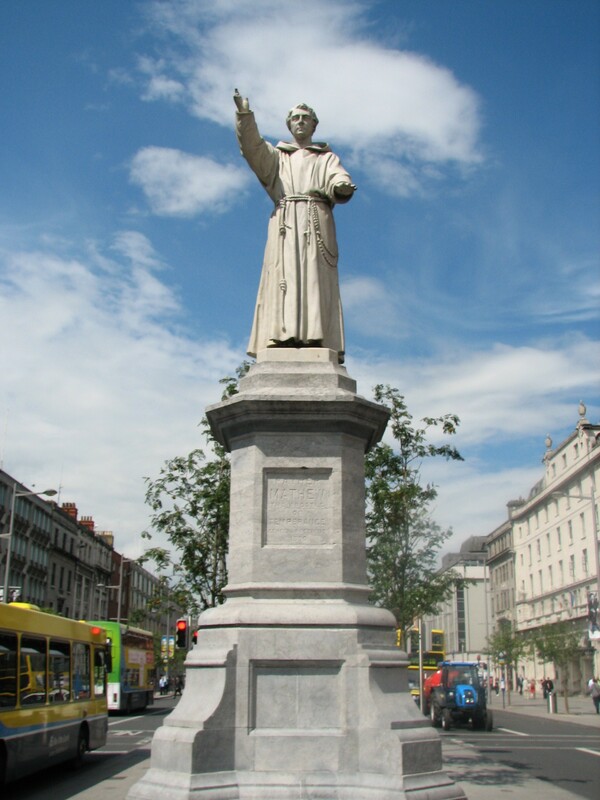 Their banner bore a figure of St. Patrick and the inscription ‘St. Peter’s Roman Catholic T.A. Society; Organized, March , 1860.’ The reverse had Christ and St. Peter walking on the water, with the name of the Society. Behind the banner was a harp device wreathed in flowers. The Society also carried a green flag and a United States flag. FATHER MATHEW T.A.B. SOCIETY NO.3 OF NEW YORK: The members were dressed in green and gold regalia. They carried the flags of Ireland and the United States. BARRY BENEVOLENT SOCIETY: Their banner had images of Commodore Barry and Washington along with the inscription: ‘Barry Benevolent Society: Organized October 30, 1861: Chartered, 1864.’ The reverse showed members of the Society helping a sick man, with the words: ‘I was sick, and you visited me.’ A wreath hung from the staff of the banner and the Society also carried the Irish and American flags. ST. BRIDGET’S MUTUAL BENEFIT AND BENEVOLENT SOCIETY: They wore medals and rosettes of green, white and crimson. The front of their banner had a representation of St. Bridget with St. Bridget’s Parish Church and Schools in the background. Beneath this was a Committee of the Society making their report to the President and the inscription: ‘St. Bridget’s Mutual Benefit and Benevolent Society; Organized March 4, 1863.’ The reverse of the banner showed a sick member of the Society receiving the last rites, while his family receive assistance. In the background is the Angel of Mercy with the Cross and Scales of Justice, bearing the legend: ‘Faith, Hope, and Charity. We Comfort the Sick and Pray for the Dead.’ In addition the Society carried silk flags of Ireland and the United States. FATHER MATHEW TOTAL ABSTINENCE B. SOCIETY NO.2 OF BROOKLYN: The members wore green and gold regalia. Their banner was of green silk edged with gold with a representation of Father Mathew administering the pledge on the front. Over this was a scroll carried in an eagle’s beak which read: ‘Father Mathew Total Abstinence Benevolent Society No, 2, of Brooklyn.’ Underneath this was written ‘Relief in Sickness or Distress.’ The reverse depicted a harp wreathed with shamrocks, together with a wolfhound and round tower. Under this was fountain of cold water. The flags of the United States and Ireland were depicted in the upper part of the image, along with a scroll reading: ‘Temperance-in hoc signo vinces.’ A wreath hung from the banner’s staff, and the Society also carried a United States and Irish flag. FATHER MATHEW U.B.T.A.B. SOCIETY OF NEW YORK (PARENT SOCIETY): The members wore green and gold regalia ornamented with harps and shamrocks. Their banner was carried on a car drawn by twelve bay horses with plume headpieces. The sides were covered in green, white and blue drapery ornamented with mottoes, harps and shamrocks. On one side was written ‘Our object is Temperance and Unity’ and on the other ‘We follow in the footsteps of the Apostle of Temperance, the Rev. Theobald Mathew.’ The rear of the car had ‘We visit the Sick and bury the Dead’ with below ‘By the Pledge We Conquer.’ The banner had a full length portrait of Father Mathew administering the pledge, with a man and his family (the man having just signed the pledge). The inscription read: ‘Father Mathew United Temperance B. Society, Organized Dec. 2, 1851; Chartered July 8, 1855.’ The reverse had the Maid of Erin leaning on a harp with the quotation: ‘The Harp that once thro’ Tara’s Halls, The soul of Music shed.’ A wreath was placed on the banner’s staff. Cadets followed the car and carried small flags. FATHER MATHEW U.B.T.A.B. SOCIETY, BRANCH NO.1: Members wore their Society’s regalia and carried a floral device presented by the Temperance ladies of the 9th Ward. The wreath of flowers was a circled by gilt oak leaves, surrounded by a harp and with the inscription in gold: ‘Father Mathew U.B.T.A.B. Society, Branch No. 1.’ They also carried two United States flags. ST. ANNE’S R.C.T.A.B. SOCIETY, OF BROOKLYN: Members wore green and white rosettes with white badges fringed in gold and bearing the name of the Society. The banner was wreathed in gold shamrock with a figure of St. Anne on the front and the inscription ‘St. Anne’s Roman Catholic Total Abstinence and Beneficial Society, of Brooklyn. Organized April 5, 1863.’ The reverse showed a sick room with a priest administering the last rites. Overhead the Angel of Hope pointing to the Cross and the inscription: ‘We comfort the sick and bury the dead.’ They also carried with them an Irish flag presented to them that morning. It bore the harp and sunburst along with the motto ‘Erin go Bragh.’ They also carried a United States flag. SHAMROCK SOCIETY NO.1 OF BROOKLYN: Their banner had on the obverse St. Patrick along with the name of the Society and the legend: ‘We relieve our sick and bury our dead.’ The reverse bore an image of Washington with the name of the Society and it’s date of organization, 1829. They also carried a small banner which had a harp and the inscription: ‘Erin and the United States.’ They also carried the Stars and Stripes and a number of boys had small flags. HIBERNIAN UNIVERSAL BENEVOLENT SOCIETY: Their first banner showed an Irish emigrant taking the Oath of Allegiance to the United States with the motto: ‘United, we stand; divided we fall.’ The reverse showed the landing of Columbus, the name of the Society and the date of its charter in 1828. After the banner was a gilt harp covered in floral wreaths. A second banner had a portrait of Washington and the name of the Society. New York Irish-American 26th March 1864. New York Times 18th March 1864. Fascinating. I’m digging into the dusty archives to find my Irish immigrant ancestors, so I am also reading and learning about Irish history, which I regret not having done before, being at least 25% Irish. My gr-grandfather fought in the Civil War, and I have his military records. I have info on Keatings/Nashes/O’Connors in Nebraska, Illinois and Kansas. Thanks for the comment! Who did your great-grandfather serve with? Also do you know what county he was from originally? For those of you, who could not attend this year (17 March 2014) St. Patrick’s Day New York City Parade, with the 69th New York, let me tell you how it is. . Like 1864, it is overcast and this year, its cold with a strong north wind. The 69th New York marched up from their Hq’s on Lexington Avenue and turned left into 51st Street, stopping at 5th Avenue. They filed into Saint Patrick’s at 0815 to attend mass. After mass, the 69th lined up again, on 51st Street behind Major Flynn, the new commanding officer and the American and Regimental Flag. You may recall Major Flynn, from the book he wrote on the 69th, in Iraq. Traffic was stopped on 5th avenue by the NYPD. The Regimental Bagpiper started to play and the 69th New York National Guard, about 800 soldiers strong, marched out onto 5th Avenue, followed by its Veterans Corps and turned south to 41st Street and U turned. At 1100, they started north on 5th Avenue, into a killer wind with the temp. in the mid to low 20s. and the Parade was on. My son, 1st Lt. Rich Reilly was interviewed by Cablevision’s NEWS12 on the history of the Regiment and I came home. Last years parade, was a good 25 degrees warmer, so I will watch it on TV and hope for warmer weather next year. Amazing event for the time. Great to have so much detail. Makes one think the Irish were the total population of NY. They were certainly a major component of the city alright!